Have you ever heard of the Maryland Fish Pepper? 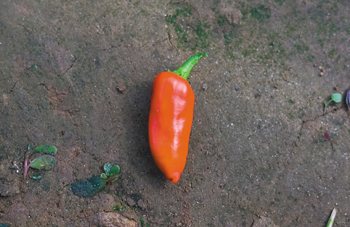 In another Urbanite Radio Story, we look at the history of this local hot pepper. It faded out of popularity and was almost lost, but a few people are working to bring the Fish Pepper back to Maryland. Scott Carlson, founder of the Rodgers Forge Farm Initiative, and author of the Urbanite article The Prodigal Pepper. Mick Kipp, owner of the local spice store the Whiskey Island Pirate Shop in the Mill Valley General Store. He’s partnering with One Straw Farm to bring back the fish pepper for a line of spice rubs and sauces.